I think this EA is Martingle Grid EA. It make average which may leads to losses in long term. If You have any set File in which You are getting consistent profit, then Please post here in forum. It will definitely help all. Thanks. The EA uses the CCi indicator to enter trades. The basic assumption is that the price will pullback after a short-lived excursion outside the "normal" range. Under that working thesis, it builds baskets of trades unidirectionally, averaging the positions and closing in profit at a hard TP level. Better be used on instruments that usually exhibit a relatively high degree of positive correlation. In other words - good for rangy markets, NOT trendy markets - choose carefully. 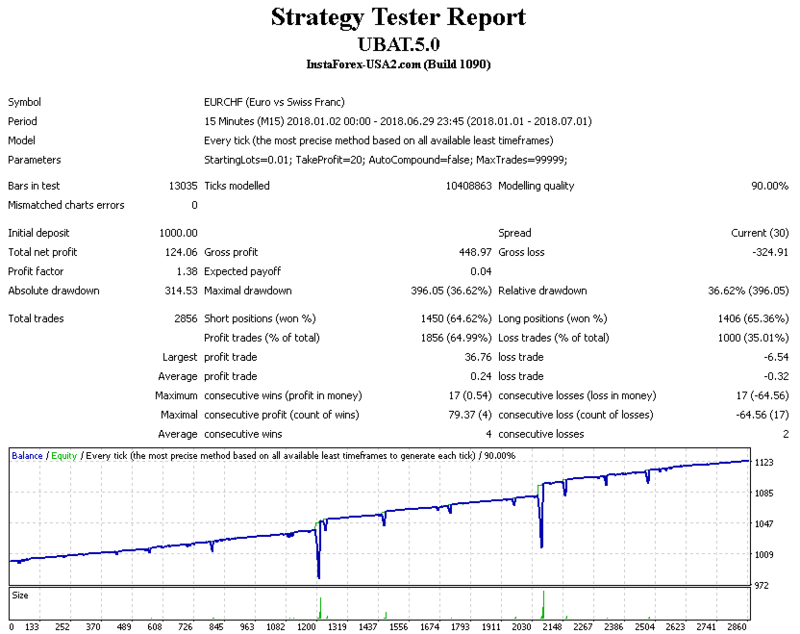 The test was performed on EURCHF M15 on a $1000 equity Standard account from InstaForex leveraged at 1:100. The performance is in line with the mean reversion systems. 12% in 6 months is not gonna change anyone's life overnight, BUT with a good money management policy, this can be scaled up. The behavior is somewhat predictable and the EA can be applied simultaneously on a number of instruments to compound the gains. my acc mc when market trending..
Can someone translate to english?